This is a really nicely done solar heating project that uses solar water heating collectors integrated with the south wall for space heating. The collector frames are site built and nicely blended into the wall. 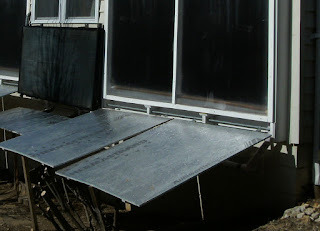 The absorber plates were bought from SunRay. 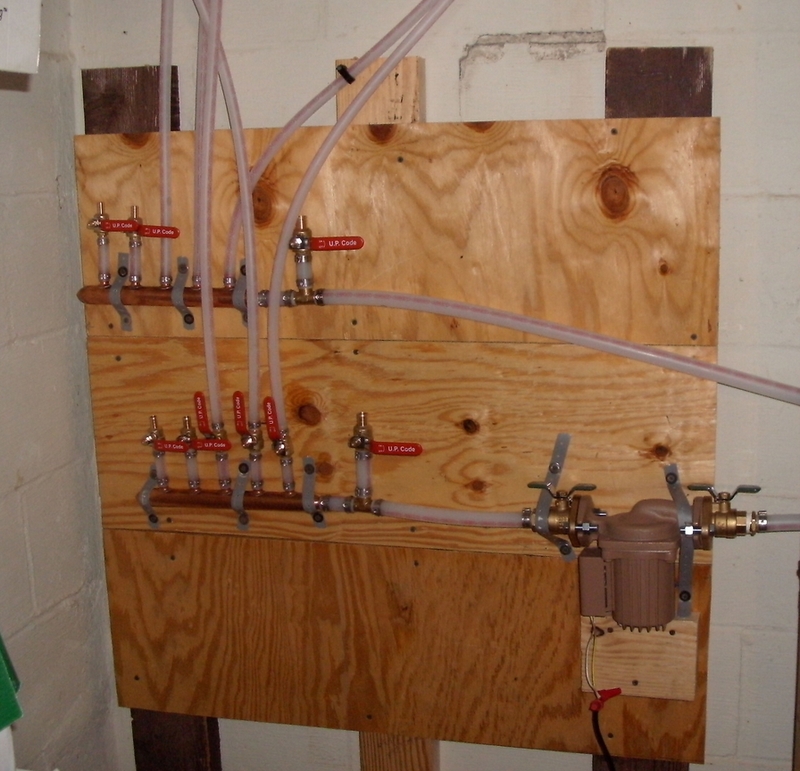 The heat distribution system uses PEX floor loops stapled up to the bottom of the floor. 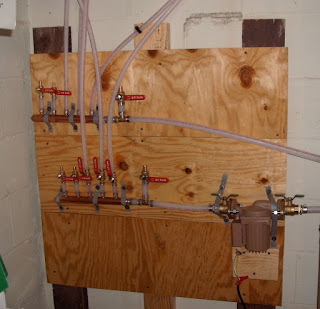 This is the nice simple manifold for the radiant heat. The system includes removable reflectors to increase performance. This kind of reflector is particularly effective in the late spring and early fall when the sun is getting higher and collection is dropping off, but you still need some space heating. Reflectors have the advantage that they increase solar collection without increasing glazing heat loss. Recent additions to the system include adding a wood stove which is interconnected the solar heat storage tank for additional heat. Jim is also working on a live data reporting system. A writeup on these will likely be added this summer, so stay tuned. From Jim -- "I have not turned my furnace on in two years." Thanks to Jim for taking the time to carefully document the system!